Yochai Benkler, Degrees of Freedom, Dimensions of Power, 145 Daedalus 18 (2016). The original Internet design combined technical, organizational, and cultural characteristics that decentralized power along diverse dimensions. Decentralized institutional, technical, and market power maximized freedom to operate and innovate at the expense of control. Market developments have introduced new points of control. Mobile and cloud computing, the Internet of Things, fiber transition, big data, surveillance, and behavioral marketing introduce new control points and dimensions of power into the Internet as a social-cultural-economic platform. Unlike in the Internet's first generation, companies and governments are well aware of the significance of design choices, and are jostling to acquire power over, and appropriate value from, networked activity. If we are to preserve the democratic and creative promise of the Internet, we must continuously diagnose control points as they emerge and devise mechanisms of recreating diversity of constraint and degrees of freedom in the network to work around these forms of reconcentrated power. Yochai Benkler, A Public Accountability Defense for National Security Leakers and Whistleblowers, 8 Harv. L. & Pol'y Rev. 281 (2014). Yochai Benkler, The Wealth of Networks: How Social Production Transforms Markets and Freedom (Yale Univ. Press 2006). Describes how patterns of information, knowledge, and cultural production are changing. Yochai Benkler, Robert Faris & Hal Roberts, Network Propaganda: Manipulation, Disinformation, and Radicalization in American Politics (2018). This is an open access title available under the terms of a CC BY-NC-ND 4.0 International licence. It is free to read at Oxford Scholarship Online and offered as a free PDF download from OUP and selected open access locations. Is social media destroying democracy? Are Russian propaganda or "Fake news" entrepreneurs on Facebook undermining our sense of a shared reality? A conventional wisdom has emerged since the election of Donald Trump in 2016 that new technologies and their manipulation by foreign actors played a decisive role in his victory and are responsible for the sense of a "post-truth" moment in which disinformation and propaganda thrives. Network Propaganda challenges that received wisdom through the most comprehensive study yet published on media coverage of American presidential politics from the start of the election cycle in April 2015 to the one year anniversary of the Trump presidency. Analysing millions of news stories together with Twitter and Facebook shares, broadcast television and YouTube, the book provides a comprehensive overview of the architecture of contemporary American political communications. Through data analysis and detailed qualitative case studies of coverage of immigration, Clinton scandals, and the Trump Russia investigation, the book finds that the right-wing media ecosystem operates fundamentally differently than the rest of the media environment. The authors argue that longstanding institutional, political, and cultural patterns in American politics interacted with technological change since the 1970s to create a propaganda feedback loop in American conservative media. This dynamic has marginalized centre-right media and politicians, radicalized the right wing ecosystem, and rendered it susceptible to propaganda efforts, foreign and domestic. For readers outside the United States, the book offers a new perspective and methods for diagnosing the sources of, and potential solutions for, the perceived global crisis of democratic politics. Yochai Benkler, Law, Innovation and Collaboration in Networked Economy and Society, 13 Ann. Rev. L. & Soc. Sci. 231 (2017). Over the past 25 years, social science research in diverse fields has shifted its best explanations of innovation from (a) atomistic invention and development by individuals, corporate or natural, to networked learning; (b) market based innovation focused on material self interest to interaction between market and non market practices under diverse motivations; and (c) property rights exclusively to interaction between property and commons. These shifts have profound implications for how we must think about law and innovation. Patents, copyrights, non compete agreements, and trade secret laws are all optimized for an increasingly obsolete worldview. Strong intellectual property impedes, rather than facilitates, innovation when we understand that knowledge flows in learning networks, mixing market and non market models and motivations, and weaving commons with property are central to the innovation process. Robert Faris, Hal Roberts, Bruce Etling, Nikki Bourassa, Ethan Zuckerman & Yochai Benkler, Partisanship, Propaganda, and Disinformation: Online Media and the 2016 U.S. Presidential Election (Berkman Klein Ctr. Res. Publ’n 2017-6, Aug. 2017). In this study, we analyze both mainstream and social media coverage of the 2016 United States presidential election. We document that the majority of mainstream media coverage was negative for both candidates, but largely followed Donald Trump’s agenda: when reporting on Hillary Clinton, coverage primarily focused on the various scandals related to the Clinton Foundation and emails. When focused on Trump, major substantive issues, primarily immigration, were prominent. Indeed, immigration emerged as a central issue in the campaign and served as a defining issue for the Trump campaign. We find that the structure and composition of media on the right and left are quite different. The leading media on the right and left are rooted in different traditions and journalistic practices. On the conservative side, more attention was paid to pro-Trump, highly partisan media outlets. On the liberal side, by contrast, the center of gravity was made up largely of long-standing media organizations steeped in the traditions and practices of objective journalism. Our data supports lines of research on polarization in American politics that focus on the asymmetric patterns between the left and the right, rather than studies that see polarization as a general historical phenomenon, driven by technology or other mechanisms that apply across the partisan divide. The analysis includes the evaluation and mapping of the media landscape from several perspectives and is based on large-scale data collection of media stories published on the web and shared on Twitter. Yochai Benkler, Robert Faris, Hal Roberts & Ethan Zuckerman, Study: Breitbart-led right-wing media ecosystem altered broader media agenda, Colum. Journalism Rev. (Mar. 3, 2017). Yochai Benkler, Open Access and Information Commons, in Oxford Handbook of Law and Economics: Private and Commercial Law 256 (Francesco Parisi ed., 2017). 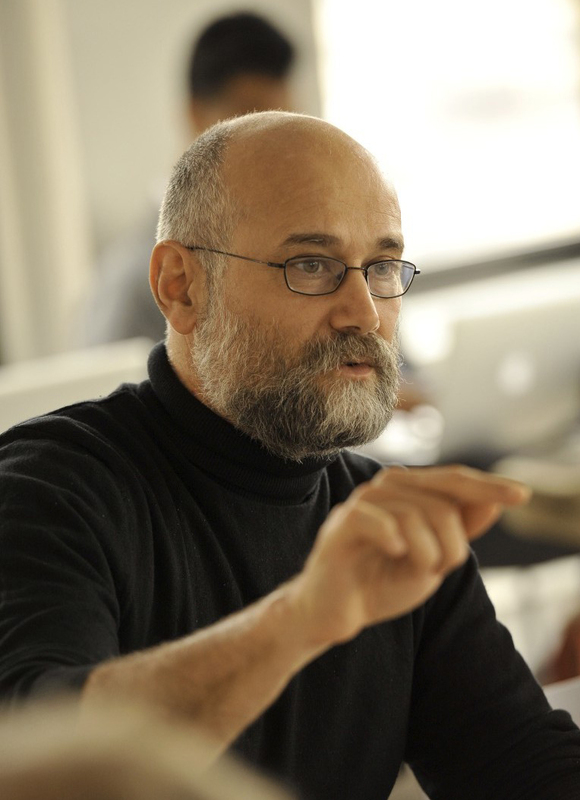 Yochai Benkler, Peer Production, the Commons, and the Future of the Firm, 15 Strategic Org. 264 (2017). From free and open source software, through Wikipedia to video journalism, peer production plays a more significant role in the information production environment than was theoretically admissible by any economic model of motivation and organization that prevailed at the turn of the millennium. Its sustained success for a quarter of a century forces us to reevaluate three core assumptions of the standard models of innovation and production. First, it places intrinsic and social motivations, rather than material incentives, at the core of innovation, and hence growth. Second, it challenges the centrality of property, as opposed to the interaction of property and commons, to growth. And third, it questions the continued centrality of firms to the innovation process. Yochai Benkler, Peer Production and Cooperation, in Handbook on the Economics of the Internet 91 (Johannes M. Bauer & Michael Latzer, eds., 2016). Yochai Benkler, When von Hippel Innovation Met the Networked Environment: Recognizing Decentralized Innovation, in Revolutionizing Innovation: users, communities, and open innovation 195 (Dietmar Harhoff & Karim R. Lakhani eds., 2016). This volume provides a comprehensive and multidisciplinary view of the field of user and open innovation, reflecting advances in the field over the last several decades. Yochai Benkler & David Clark, Introduction, 145 Daedalus 5 (2016). Robert Faris, Hal Roberts, Bruce Etling, Dalia Othman & Yochai Benkler, The Role of the Networked Public Sphere in the US Net Neutrality Policy Debate, 10 Int’l J. Comm. 5839 (2016). This article examines the public debate over net neutrality in the United States in 2014. We compiled, mapped, and analyzed more than 15,600 stories published on net neutrality, augmented by data from Twitter, Bitly, and Google Trends. Using a mixed-methods approach that combines link analysis with qualitative content analysis, we describe the evolution of the debate over time and assess the role, reach, and influence of different media sources and advocacy groups. By three different measures, we find that the pro-net neutrality forces decisively won the online public debate and translated this into a successful social mobilization effort. We conclude that a diverse set of actors working in conjunction through the networked public sphere played a pivotal role in turning around the Federal Communications Commission policy on net neutrality. Yochai Benkler, Aaron Shaw & Benjamin Mako Hill, Peer Production: A Modality of Collective Intelligence, in Handbook of Collective Intelligence (Thomas W. Malone & Michael S. Bernstein eds., 2015). Intelligence does not arise only in individual brains; it also arises in groups of individuals. This is collective intelligence: groups of individuals acting collectively in ways that seem intelligent. Yochai Benkler, Hal Roberts, Robert Faris, Alicia Solow-Niederman & Bruce Etling, Social Mobilization and the Networked Public Sphere: Mapping the SOPA-PIPA Debate, 32 Pol. Comm. 594 (2015). Robert Faris, Hal Roberts, Bruce Etling, Dalia Othman & Yochai Benkler, Score Another One for the Internet? The Role of the Networked Public Sphere in the U.S. Net Neutrality Policy Debate (Berkman Ctr. Res. Pub. No. 2015-4, Feb. 10, 2015). Yochai Benkler, Opinion: The Death of the Company Reignites the Battle Between Capital and Labour, Fin. Times, Jan 24, 2015, at 7. Yochai Benkler, Between Spanish Huertas and the Open Road: A Tale of Two Commons?, in Governing the Knowledge Commons 69 (Brett Frischmann, Michael Madison & Katherine Strandburg eds., 2014). Yochai Benkler, Commons and Growth: The Essential Role of Open Commons in Market Economies, 80 U. Chi. L. Rev. 1499 (2013) (reviewing Brett M. Frischmann, Infrastructure: The Social Value of Shared Resources (2012)). Yochai Benkler, Practical Anarchism: Peer Mutualism, Market Power, and the Fallible State, 41 Pol. & Soc’y 213 (2013). Yochai Benkler, Foreword, in Open Development: Networked Innovations in International Development (Matthew L. Smith & Katherine M. A. Reilly eds., 2013). Yochai Benkler, Hacks of Valor: Why Anonymous Is Not a Threat to National Security, Foreign Aff., April 4, 2012. Aaron Shaw & Yochai Benkler, A Tale of Two Blogospheres: Discursive Practices on the Left and Right, 56 Am. Behav. Scientist 459 (2012). Yochai Benkler, Open Wireless vs. Licensed Spectrum: Evidence from Market Adoption, 26 Harv. J.L. & Tech. 69 (2012). The paper reviews evidence from eight wireless markets: mobile broadband; wireless healthcare; smart grid communications; inventory management; access control; mobile payments; fleet management; and secondary markets in spectrum. I find that markets are adopting unlicensed wireless strategies in mission-critical applications, in many cases more so than they are building on licensed strategies. If the 1990s saw what was called "the Negroponte Switch" of video from air to wire, and telephony from wire to air, the present and near future are seeing an even more fundamental switch. Where a decade ago most of our wireless capacity was delivered over exclusive control approaches-both command and control and auctioned exclusivity--complemented by special-purpose shared spectrum use, today we are moving to a wireless infrastructure whose core relies on shared, open wireless approaches, complemented by exclusive control approaches for special, latency-intolerant, high-speed mobile applications. The scope of the latter will contract further if regulation catches up to technological reality, and opens up more bands to open wireless innovation, with greater operational flexibility and an emphasis on interoperability. Yochai Benkler & Bruce Ackerman, Occupying the First Amendment, Huffington Post: The Blog (Oct. 21, 2011, 8:51 AM). Yochai Benkler, WikiLeaks and the PROTECT-IP Act: A New Public-Private Threat to the Internet Commons, 140 Daedalus 154 (2011). Yochai Benkler, The Penguin and the Leviathan: How Cooperation Triumphs over Self-Interest (Crown Business 2011). Yochai Benkler, The Unselfish Gene, 89 Harv. Bus. Rev. 76 (2011). Yochai Benkler, A Free Irresponsible Press: Wikileaks and the Battle Over the Soul of the Networked Fourth Estate, 46 Harv. C.R.-C.L. L. Rev. 311 (2011). Bruce Ackerman & Yochai Benkler, Private Manning’s Humiliation, 58 N.Y. Rev. Books 62 (2011). Yochai Benkler, Growth-Oriented Law for the Networked Information Economy: Emphasizing Freedom to Operate Over Power to Appropriate, in Rules for Growth: Promoting Innovation and Growth Through Legal Reform 313 (Kauffman Task Force on Law, Innovation, and Growth, 2011). Yochai Benkler, Networks of Power, Degrees of Freedom, 5 Int'l J. Comm. 721 (2011). Yochai Benkler, The University in the Networked Economy and Society: Challenges and Opportunities, in The Tower and the Cloud: Higher Education in the Age of Cloud Computing 51 (Richard N. Katz ed., EDUCAUSE 2010). Yochai Benkler, Ending the Internet's Trench Warfare, N.Y. Times, Mar. 21, 2010, at WK12. Yochai Benkler, Next Generation Connectivity: A review of broadband Internet transitions and policy from around the world (Berkman Ctr. for Internet & Soc'y, Feb. 8, 2010). Leah Belsky, Byron Kahr, Max Berkelhammer & Yochai Benkler, Everything in its Right Place: Social Cooperation and Artist Compensation, 17 Mich. Telecomm. & Tech. L. Rev. 1 (2010). Yochai Benkler, Law, Policy, and Cooperation, in Government and Markets: Toward a New Theory of Regulation (Edward Balleisen & David Moss eds., Cambridge Univ. Press 2010). This interdisciplinary volume points the way toward the modernization of regulatory theory. Yochai Benkler, The Idea of Access to Knowledge and the Information Commons, in Access to Knowledge in the Age of Intellectual Property 217 (Gaelle Krikorian & Amy Kapczynski eds., 2010). Yochai Benkler, Information, Structures, and the Constitution of American Society, in The Constitution in 2020 187 (Jack Balkin & Reva Siegel eds., 2009). Yochai Benkler, Sharing, Trading, Creating Culture, 324 Science, no. 5925, 2009, at 337 (Reviewing Lawrence Lessig’s Remix. Making Art and Commerce Thrive in the Hybrid Economy (2008)). David G. Rand, Thomas Pfeiffer, Anna Dreber, Rachel Sheketoff, Nils Wernerfelt & Yochai Benkler, Dynamic Remodeling of In-group Bias During the 2008 Presidential Election, 106 Proc. Nat’l Acad. Sci. 6187 (2009). Yochai Benkler, Correspondence: A New Era of Corruption?, New Republic Online (Mar. 4, 2009). Yochai Benkler, From Greenspan's Despair to Obama's Hope: Basis of Cooperation as Principles of Regulation in New Perspectives on Regulation 63 (David A. Moss & John A. Cisternino eds., 2009). Yochai Benkler, Technology, Policy, Cooperation, and Human Systems Design in The New Economics of Technology Policy (Dominique Foray ed., 2009). This innovative book comprehensively sheds light on the theory and practice of technological policies by employing modern analytical tools and economic techniques. Yochai Benkler, Educating for Participation in the Networked Environment (in Symposium: The Wealth of Networks (Yochai Benkler) discussed by Philippe Aigrain, Leslie Chan, Jean-Claude Guédon & John Willinsky, with a response by Yochai Benkler), 6 Pol'y Futures in Educ. 152 (2008). Yochai Benkler & Helen Nissenbaum, Commons-Based Peer Production and Virtue, 14 J. Pol. Phil. 394 (2006). COMMONS-BASED peer production is a socio-economic system of production that is emerging in the digitally networked environment. Facilitated by the technical infrastructure of the Internet, the hallmark of this socio-technical system is collaboration among large groups of individuals, sometimes in the order of tens or even hundreds of thousands, who cooperate effectively to provide information, knowledge or cultural goods without relying on either market pricing or managerial hierarchies to coordinate their common enterprise. While there are many practical reasons to try to understand a novel system of production that has produced some of the finest software, the fastest supercomputer and some of the best web-based directories and news sites, here we focus on the ethical, rather than the functional dimension. What does it mean in ethical terms that many individuals can find themselves cooperating productively with strangers and acquaintances on a scope never before seen? How might it affect, or at least enable, human action and affection, and how would these effects or possibilities affect our capacities to be virtuous human beings? We suggest that the emergence of peer production offers an opportunity for more people to engage in practices that permit them to exhibit and experience virtuous behavior. We posit: (a) that a society that provides opportunities for virtuous behavior is one that is more conducive to virtuous individuals; and (b) that the practice of effective virtuous behavior may lead to more people adopting virtues as their own, or as attributes of what they see as their self-definition. The central thesis of this paper is that socio-technical systems of commons-based peer production offer not only a remarkable medium of production for various kinds of information goods but serve as a context for positive character formation. Exploring and substantiating these claims will be our quest, but we begin with a brief tour through this strange and exciting new landscape of commons-based peer production and conclude with recommendations for public policy. Yochai Benkler, Peer Production of Survivable Critical Infrastructures, in The Law and Economics of Cybersecurity 73 (Mark F. Grady & Francesco Parisi eds., 2005). This book explores the nature of the cybersecurity problem for nations and addresses possible solutions. Amy Kapczynski, Samantha Chaifetz, Zachary Katz & Yochai Benkler, Addressing Global Health Inequities: An Open Licensing Approach for University Innovations, 20 Berkeley Tech. L.J. 1031 (2005). Yochai Benkler, Common Wisdom: Peer Production of Educational Materials (Ctr. for Open & Sustainable Learning 2005). Yochai Benkler, Sharing Nicely: On Shareable Goods and the Emergence of Sharing as a Modality of Economic Production, 114 Yale L.J. 273 (2004). Yochai Benkler, Commons-Based Strategies and the Problems of Patents, 305 Science, no. 5687, Aug. 20, 2004, at 1110. Yochai Benkler, Freedom in the Commons: Towards a Political Economy of Information, 52 Duke L.J. 1245 (2003). Yochai Benkler, The Political Economy of Commons, 4 UPGRADE 6 (2003). Yochai Benkler, Through the Looking Glass: Alice and the Constitutional Foundations of the Public Domain, 66 Law & Contemp. Probs. 173 (2003). Yochai Benkler, A Speakers' Corner Under the Sun in The Commodification of Information 291 (Niva Elkin-Koren & Neil Weinstock Netanel eds., 2002). This book presents the penetrating analyses and recommendations that emerged from that conference. A broad spectrum of views is expressed, from commercialism as the liberator of free speech to commodification as de facto censorship. Yochai Benkler, Intellectual Property and the Organization of Information Production, 22 Int'l Rev. L. & Econ. 81 (2002). This paper analyzes an area that economic analysis of intellectual property has generally ignored, namely, the effects of intellectual property rights on the relative desirability of various strategies for organizing information production. I suggest that changes in intellectual property rules alter the payoffs to information production in systematic and predictable ways that differ as among different strategies. My conclusion is that an institutional environment highly protective of intellectual property rights will (a) have less beneficial impact, at an aggregate level, than one would predict without considering these effects, and (b) fosters commercialization, concentration, and homogenization of information production, and thus entails normative implications that may be more salient than its quantitative effects. Yochai Benkler, Some Economics of Wireless Communications, 16 Harv. J.L. & Tech. 25 (2002). Yochai Benkler, The Battle Over the Institutional Ecosystem in the Digital Environment, 44 Comm. ACM 84 (2001). Yochai Benkler, A Political Economy of the Public Domain: Markets in Information Goods vs. The Marketplace of Ideas in Expanding the Boundaries of Intellectual Property: Innovation Policy for the Knowledge Society 267 (Rochelle Cooper Dreyfuss, Diane Leenheer Zimmerman & Harry First eds., 2001). This book focuses on the question of how much control innovators should be given over their works. Yochai Benkler, Property, Commons, and the First Amendment: Towards a Core Common Infrastructure (White Paper, First Amendment Program, Brennan Center for Justice at NYU School of Law, Mar. 2001). Yochai Benkler, Siren Songs and Amish Children: Autonomy, Information, and Law, 76 N.Y.U. L. Rev. 23 (2001). Yochai Benkler, An Unhurried View of Private Ordering in Information Transactions, 53 Vand. L. Rev. 2063 (2000). Yochai Benkler, Constitutional Bounds of Database Protection: The Role of Judicial Review in the Creation and Definition of Private Rights in Information, 15 Berkeley Tech. L.J. 535 (2000). Yochai Benkler, Free Markets vs. Free Speech: A Resilient Red Lion and it Critics, 11 Eur. J. Int'l L. 171 (2000) (reviewing Robert Corn-Revere, ed., Rationales & Rationalizations: Regulating the Electronic Media (1997)). Yochai Benkler, Internet Regulation: A Case Study in the Problem of Unilateralism, 11 Eur. J. Int'l L. 167 (2000). The paper identifies two insights that the problem of Internet regulation provides for understanding the more general problem of unilateralism. First, it suggests the existence of a wide variety of mechanisms for encoding the normative preferences of one nation as behavioural constraints on the citizens of another. In the Internet context in particular, technological and organizational adaptations to law play this role. A broad principle of cooperation among nations, which would require each nation to take account in its public actions of the constraints it would impose on the citizens of other nations, would therefore entail a breathtaking degree of cooperation and consideration among nations, or risk that the very breadth of its ambition will severely limit its domain of operation. Secondly, it suggests that the interplay between unilateral lawmaking on the one hand, and a harmonization ethic implemented by imperfectly articulated multilateral process on the other hand, creates an institutional environment ripe for the picking by non-representative commercial or other organizations to embed their values in the regulatory system that will ultimately emerge. Yochai Benkler, Net Regulation: Taking Stock and Looking Forward, 71 U. Colo. L. Rev. 331 (2000). Yochai Benkler, Free as the Air to Common Use: First Amendment Constraints on Enclosure of the Public Domain, 74 N.Y.U. L. Rev. 354 (1999). Our society increasingly perceives information as an owned commodity. Professor Benkler demonstrates that laws born of this conception are removing uses of information from the public domain and placing them in an enclosed domain where they are subject to an owner's exclusive control. Professor Benkler argues that the enclosure movement poses a risk to the diversity of information sources in our information environment and abridges the freedom of speech. He then examines three laws at the center of this movement: the Digital Millennium Copyright Act, the proposed Article 2B of the Uniform Commercial Code, and the Collections of Information Antipiracy Act. Each member of this trio, Professor Benkler concludes, presents troubling challenges to First Amendment principles. Yochai Benkler, The Commons as a Neglected Factor of Information Policy (Oct. 5, 1998)(Presented at the 26th Annual Telecommunications Policy Research Conference, Oct 3-5, 1998). Yochai Benkler, Communications Infrastructure Regulation and the Distribution of Control Over Content, 22 Telecomm. Pol'y 183 (1998). Convergence renders problematic continued application of traditional concepts like universal and public service to address democratic values through communications regulation. The paper proposes an alternative approach based on assessing the impact of regulatory choices affecting communications infrastructure on social distribution of communicative capacities. It offers an approach to developing descriptive models to assess how law, in technological and organizational context, concentrates or distributes control over production and exchange of information in society. Normatively, it suggests how these distributive effects on the flow of information in society affect both individual autonomy and public discourse. Yochai Benkler, Overcoming Agoraphobia: Building the Commons of the Digitally Networked Environment, 11 Harv. J. L. & Tech. 287 (1998). Yochai Benkler, Rules of the Road for the Information Superhighway: Electronic Communications and the Law (West 1996).